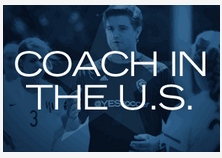 A Coach In The U.S. spotlights international coaches who have started successful careers in the U.S. with YESsoccer. 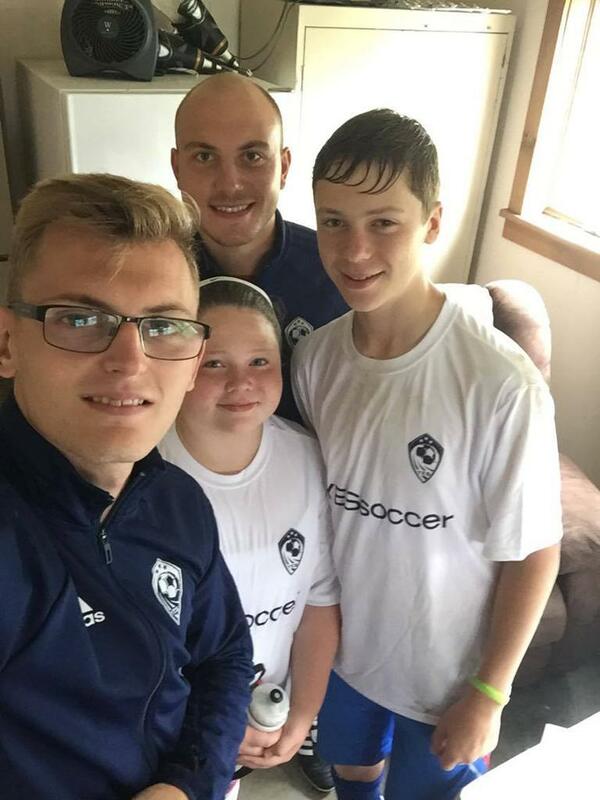 Prior to joining YESsoccer in 2015, Jan Ozmen earned his coaching stripes in grassroots soccer before a stint with Manchester United Soccer Schools and eventually embarking on a new life in the U.S. with YESsoccer. Reflecting on a highly rewarding two years in the States, Jan tells YEScoachID Director Chris Andrew how he made it in America. I began coaching in 2011 as a 16 year old volunteer at the first grassroots club that I represented as a player. I was assisting on a u9 team and later that year I took over as the Head Coach. I held that role for three years, attaining my qualifications and working my way through the coaching pathway. 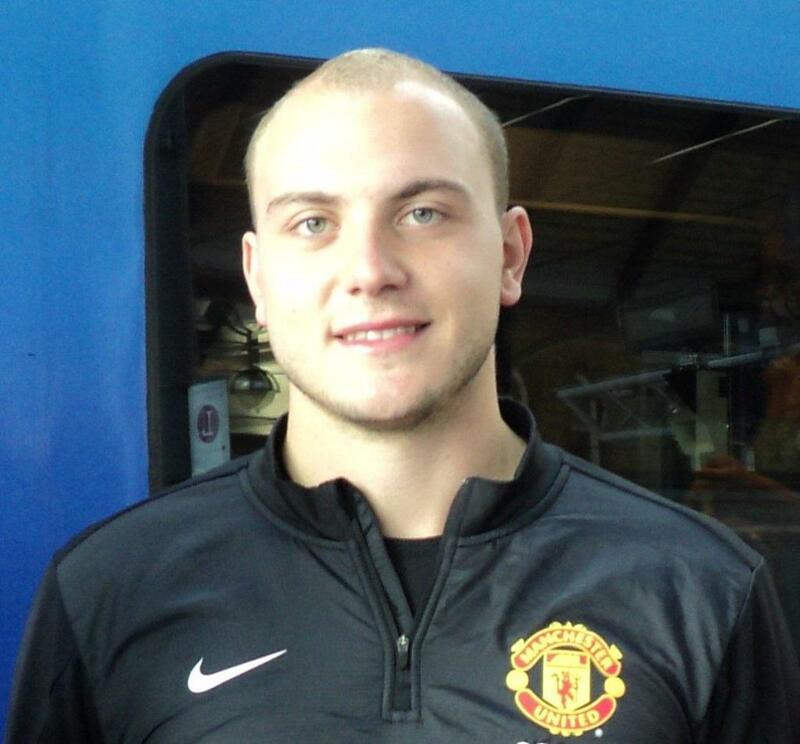 In 2014 I made the move into the paid ranks of coaching with Manchester United Soccer Schools. Why did you choose to coach in the US? I chose the US as the next step in my coaching career because here you have the opportunity to work full time as a soccer coach. In the UK the only role that compares to the one I currently hold in the US would be coaching in a professional team's academy. Although that would represent a great opportunity and it is a future goal of mine, it's unlikely that I'd be able to work in an academy with my current qualifications. In the meantime, Youth Elite Soccer provide me with a great opportunity to rack up my coaching hours and gain invaluable experience by coaching full time here in the US. In addition to that, back in the UK opportunities to coach female players are extremely limited and until I joined YESsoccer it's not something I'd given much thought to. Although I don't currently coach a girls team, I have had the opportunity to work with female players over the past two years and that has been an invaluable experience. Tell us about your current club, role and responsibilities. 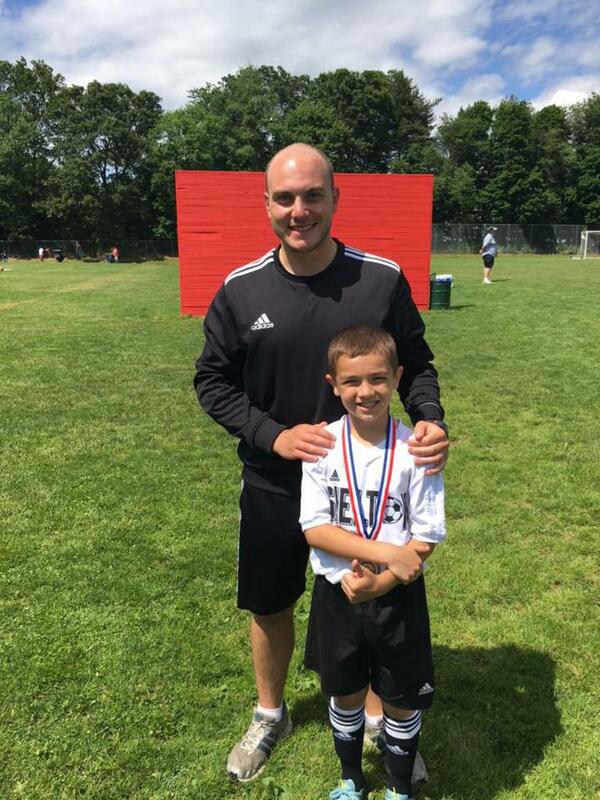 I coach at Shelton Youth Soccer Organization (SYSO) in Shelton, Connecticut. I've worked here for almost two years as a 'Player Development Officer'. SYSO has roughly one thousand boys and girls registered across Recreational Soccer - Travel Soccer - Premier Soccer. For this reason I've always been surrounded by fellow coaches of a similar age and experience as myself because I work as part of a team of up to eight YES coaches. In my role I cover all three aspects of our soccer program and I'm currently the Head Coach of two teams, a u13 Boys Travel and a u14 Boys Premier. My responsibilities include planning and delivering practice sessions four days per week, corresponding with opposition teams regarding scheduling, and coaching as many as four games at the weekend (two per team). I break my coaching philosophy down into three aspects: 'TEAM Philosophy', 'Practice Philosophy' and 'Style of Play'. I define my TEAM Philosophy as the following: A flexible, player-based approach rather than a stubborn 'My way or the high-way' attitude. I believe in getting to know a player personally to gain an understanding of their values, beliefs, why they play the game and what their goals are. It's also important to consider how each individual learns best and how you may have to alter your coaching style and methods of delivery to get the best out of each player. My 'Practice Philosophy' is how I approach practice sessions. I constantly remind the players that you can't practice soft during the week and hope to play hard at the weekend, meaning I expect the intensity levels at practice to remain as high as they are during games if not higher in order to improve. However, I think it's vital to allow sufficient time during practice for what young players enjoy most, such as 4v4 Small Sided Games and 8v8 Scrimmages. As well as that I see a lot of value in allowing time for 'Street Games' during practice such as Singles (1v1v1) or Doubles (2v2v2). Finally, I don't believe in a 'right way' of playing soccer and I will always play to the players' strengths. I have my preferences, like playing with at least two strikers, and if I have the right players at my disposal then I'd love for us to show patience in possession, maintain a high tempo, rhythm and speed in order to tire opponents out and open them up. However it's not realistic to demand such a high standard from every player I coach in a program consisting of three different performance levels. What is your number one goal as a coach? How important is winning to you? For me, success as a coach is about making each individual player the best they possibly can be on and off the field. No matter the age it's vital that players are being challenged during practice by their peers, and at the weekend it's imperative to have your team playing at a suitable level. I do value winning as a coach but I believe the mistake that coaches often make is saying "I'm only playing to win" or on the other hand "I'm only playing to develop". I prefer to find a balance between the two as my theory is "If you're winning does that mean you're not developing?" and vice versa. What are the differences between coaching players in England and the U.S.? At this level, I'd say the biggest difference between coaching young players from England in comparison to the US would be the emphasis you have to put on the tactical side of the game. In the UK and most of Europe, soccer is the number one sport and a huge part of the country's culture, therefore it gets a lot of exposure to the population - young or old. Although participation levels in soccer are very high here in the US, it has not yet matched the coverage that the NFL, NBA or MLB receive. My initial impression of young players in the US was that they lack an understanding of the tactical side of the game. Because it has more exposure, the mentality of an American football or basketball game was being applied to soccer. What I mean by that is often a team would complete one/a low number of passes before trying to dribble up the field alone. I've also seen the end-to-end nature of a basketball game occur during soccer games resulting in high scoring affairs that you don't usually see in soccer. I believe that is due to the lack of tactical understanding that players have. However, even in the two years I've spent here I've seen progress being made due to improvements in coaching, more exposure of the global game on TV and video games such as 'FIFA' that allow young players to be in control of a team and force them to make tactical decisions which they can then apply to their own game. As a coach, the tactical side of the game can sometimes be overlooked by the technical or physical elements. Experimenting with new strategies during practice and being forced to make adjustments to your team during a game is valuable knowledge to possess. What do you do to improve your abilities as a coach? Personal development is vital for any coach and there are so many resources at our disposal to ensure we're never standing still. I find the English Football Association's Boot Room magazine very beneficial to read, and I also enjoy sharing ideas with and observing coaches whom I work with on a daily basis. As well as that TV programs, videos on social media and podcasts are all effective learning tools. All of my coaching qualifications to date were completed in my first two years of becoming a coach. The past four years I've been dedicated to gaining experience and working with a range of players who's ability varies. I now feel ready to further my knowledge by completing the next coaching qualification available to me. Describe a time that challenged you as a coach and how you worked around it. In my coaching career to date, I've been fortunate enough to have the opportunity to work with an international group of players. For most, English wasn't their first language which forced me as a coach to cater for different learning styles. If a player can't understand what I'm explaining verbally then I have to show them a different way, through demonstration or other visual aids such as boards/cards. That experience made me realize that players understand your point more clearly if you cater for each individual's learning style and ultimately had a huge influence on my coaching style today.